This morning I was driving to the tip with a load of rubbish (a regular weekend activity when you’re renovating an old house) when I noticed a dead animal on the road about a mile and a half away from my house. Dead animals are pretty common around here, mostly rabbits and pheasants with the odd muntjac or chinese water deer too. This animal was different though. It tells you something about my character that I stopped the car and walked back for a look. My curiosity overcame my general repugnance at looking at a dead animal on a hot summer day. I’m pretty sure that the animal was a polecat. 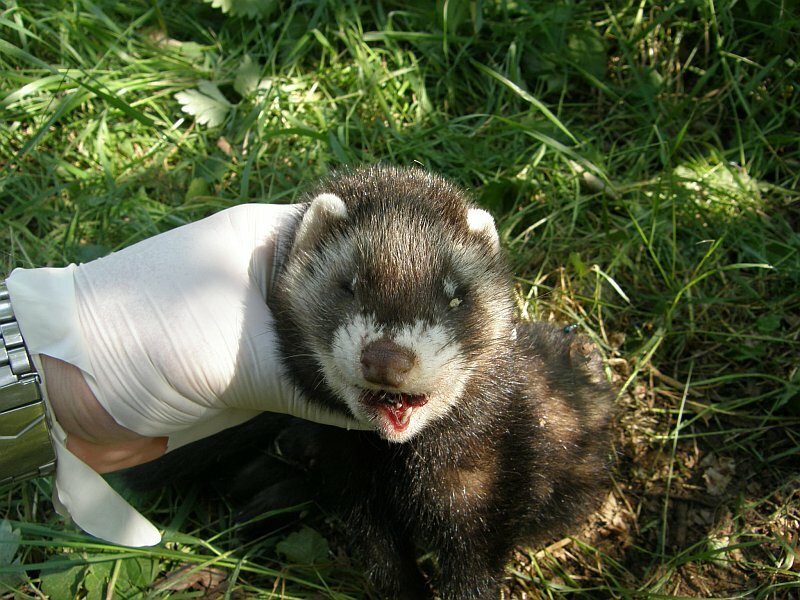 The polecat is one of the success stories of British wildlife, in a slightly topsy-turvy way. Once commonplace, they were wiped out from most of the country until by the 1930s they were limited to mid-Wales. 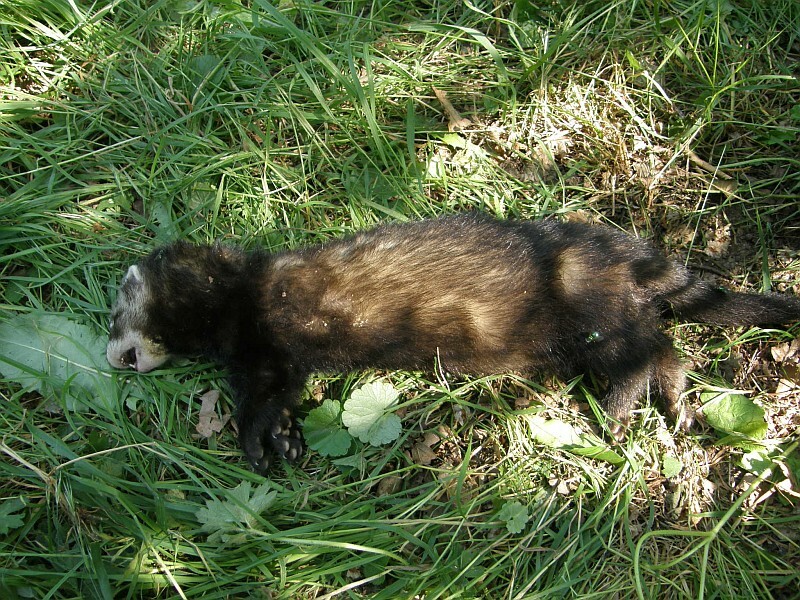 Since then, with the decline of gamekeepers and large-scale shooting estates, the polecat has been re-colonising England, and the speed of their spread eastwards seems to be increasing. Most of our knowledge of polecat distribution in the UK comes not from sightings but from road kills – they’re quite an elusive and inconspicuous species. Polecats are not unknown in Bedfordshire by any means (my wife saw one crossing a road last year), but they aren’t common either. This animal had the classic ‘bandit mask’ dark markings around the eyes that are characteristic of polecats. However, having never seen a polecat before I can’t be 100% sure. The problem is that escaped ferrets (which are basically domesticated polecats) will revert to polecat-like colouring after a few generations in the wild. These are known as ‘polecat ferrets’. But let’s be realistically optimistic about this. Polecats are expanding across the country and there are confirmed records of them in Bedfordshire. Unless someone more expert than me can give me evidence to the contrary, I’m going to assume that this animal was a real, bona fide polecat and this means that polecats are established in my local area. It isn’t a major scientific breakthrough, but it’s another piece in the jigsaw of our local wildlife, and it gives me hope that I might see one in the wild one day. Incidentally, I don’t really think I should be encouraging people to start messing around with dead animals by the roadside, but if you really do want to, please make sure you stay safe. Always, always watch out for traffic, and if the road isn’t safe then don’t put yourself at risk. You’d look pretty daft ending up as another casualty alongside the animal you’re supposed to be looking at. And please do follow some basic precautions if you want to handle dead animals. I keep a box of disposable gloves and a bottle of hand sanitiser permanently in my car for just this sort of situation. Don’t even think about handling wild animals without them. Fantastic find BWM. I suppose you didn’t take its pawprints before you disposed of it? I was talking to the Essex recorder last week and he was saying they are coming over the border. I thought he meant Welsh border! but now I reckkon it must tbe the Essex border.